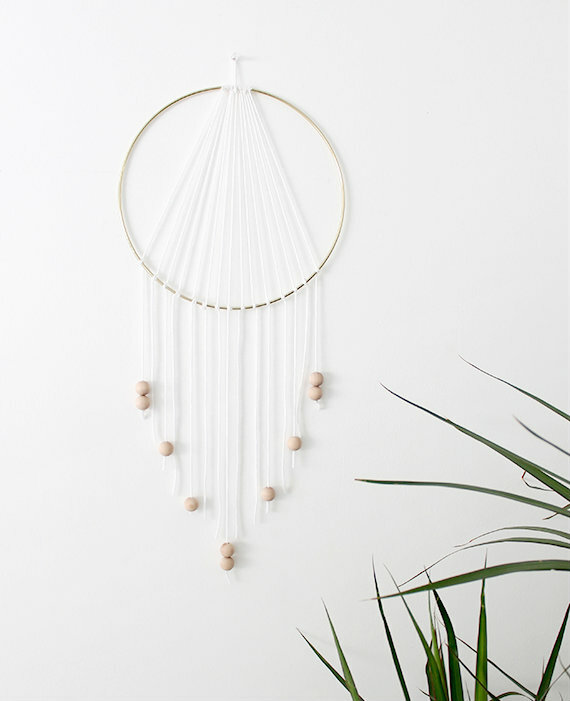 Every boho babe knows that the key to a pretty pad is a chic dreamcatcher. Whether you make just one, or craft a combo in all different earthy tones, this modern dreamcatcher tutorial is a quick and easy way to add some festival flair to your room. 2. Scrunch all the top knots together as tight as you can and trim the ends off. Hang the ring on the wall and trim the bottom ends until they're the length you want them. The longest should be in the middle, with the strings getting shorter as they reach the outside. 3. Attach your beads to the end of the strings. Use the toothpick to help push the beads onto the yarn if necessary. 4. Tie a small knot under each bead to secure them in place. 5. 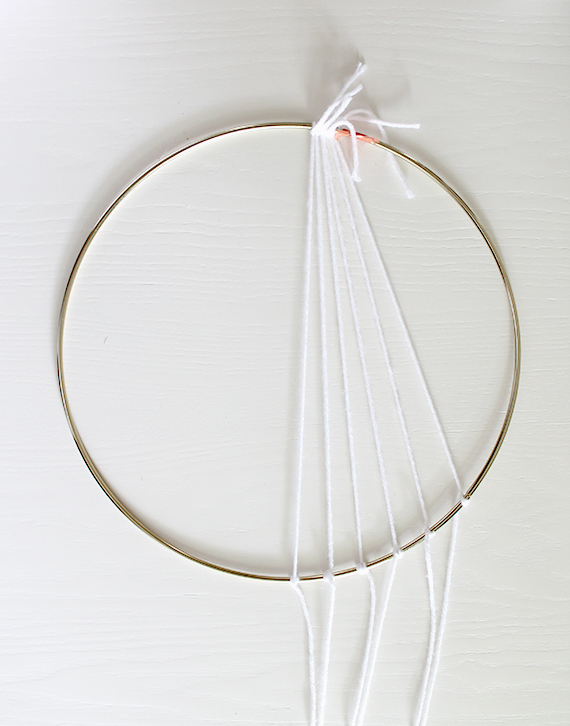 Tie a piece of yarn (or a pretty ribbon) to the top for hanging, and enjoy! Do you have any dreamcatchers in your room? Let us know in the comments! Tutorial credit: Almost Makes Perfect.